Peter Sagan and cycling’s governing body, the Union Cycliste Internationale (UCI), have reached an agreement, effectively ending the World Champion’s dispute over being disqualified from the 2017 Tour de France. 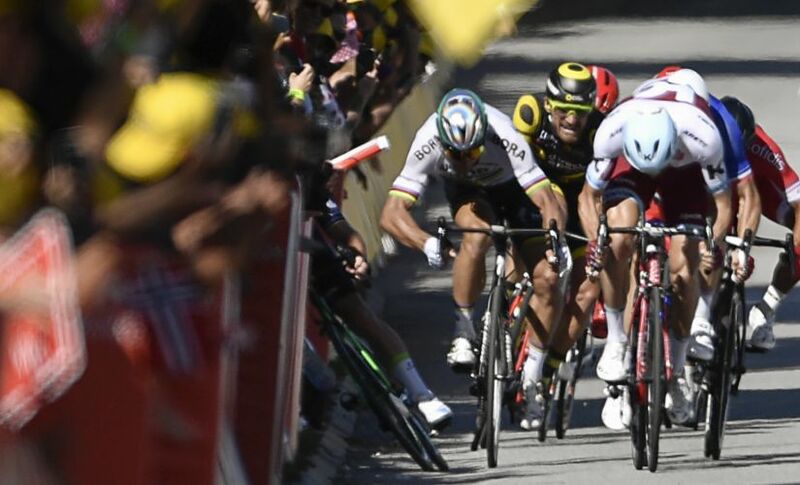 During last July’s French Grand Tour, the UCI deemed that Sagan was at fault in a crash that left Mark Cavendish injured, which ultimately led to the British rider’s withdrawal from the race. As of today however, Sagan withdrew his case which was scheduled to be heard by the Court of Arbitration for Sport (CAS) on December 5. CAS had rejected an initial urgent appeal to have the Slovakian rider reinstated, but the jury refused to accept his request. The UCI said it had considered “video footage that was not available at the time” in making their latest judgement. “As of next season the UCI intends to engage a ‘Support Commissaire’ to assist the Commissaires Panel with special video expertise on the main events of the UCI World Tour,” said UCI president David Lappartient. Cavendish claimed that Sagan had elbowed him during the sprint finish during stage 4 in Vittel, France, causing him to crash into the barriers which resulted in a broken shoulder. “I can accept the decision but for sure I do not agree with them, because I think I have done nothing wrong,” Sagan said at the time. Sagan and his team insisted he did not see his rival, as Cavendish tried to sprint along the barriers just before the finish. Sagan was initially docked 30 seconds before race officials reviewed the footage and upgraded his punishment to disqualification, ending his bid to win the Tour’s green jersey for a record-equalling sixth straight year. 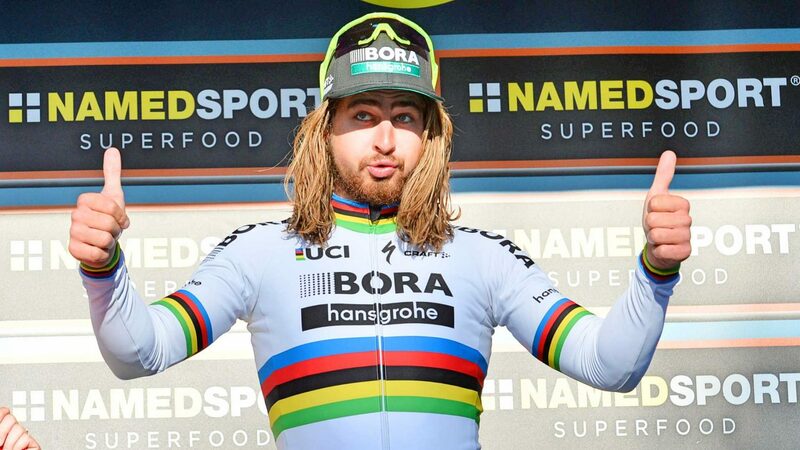 In advance of the hearing at the Court of Arbitration for Sport (CAS) in Lausanne scheduled for December 5, 2017 the Union Cycliste Internationale (UCI), Peter Sagan and BORA – hansgrohe have agreed to end the legal dispute and controversy about Sagan’s disqualification from this year’s Tour de France. 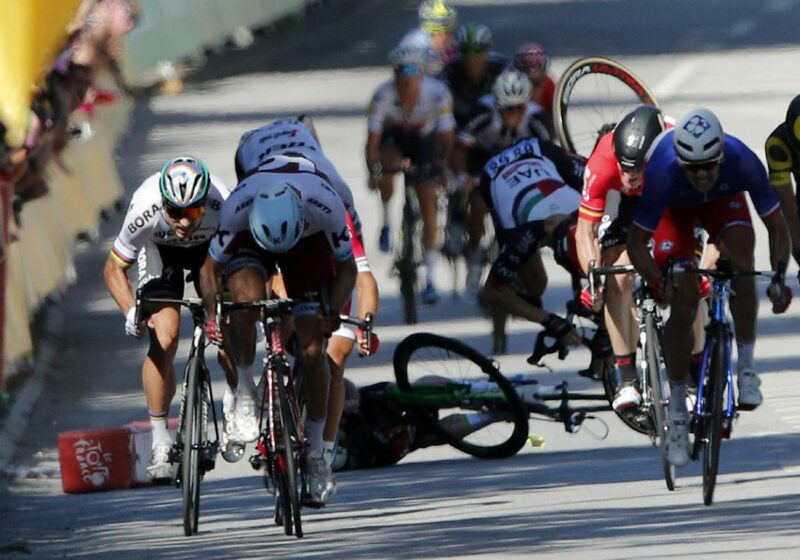 Peter Sagan was disqualified following a crash in the sprint at the end of the 4th stage in Vittel. Immediately following the disqualification Peter Sagan and BORA – hansgrohe had appealed the decision of the race jury with the CAS and, in order to enable Peter Sagan to finish the Tour, requested a temporary suspension of the disqualification. As is well known, this request was denied by CAS; subsequently, however, all parties involved had the opportunity to provide evidence and call witnesses. On 5 December 2017, CAS was scheduled to hear the matter in Lausanne. Having considered the materials submitted in the CAS proceedings, including video footage that was not available at the time when the race jury had disqualified Peter Sagan, the parties agreed that the crash was an unfortunate and unintentional race incident and that the UCI Commissaires made their decision based on their best judgment in the circumstances. On this basis, the parties agreed not to continue with the legal proceedings and to focus on the positive steps that can be taken in the future instead.